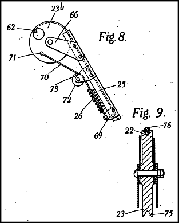 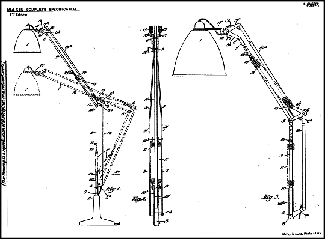 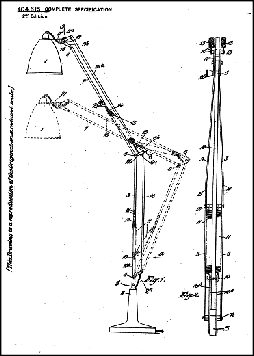 Many modern table lamps used in offices and at home are based on the cantilevered and counterbalanced concept of George Carwardine - the originator of the “Anglepoise” lamp - designed and patented in 1932 and produced by Herbert Terry Ltd.
lamp design of his own on the Anglepoise and this has continued in production for many years. 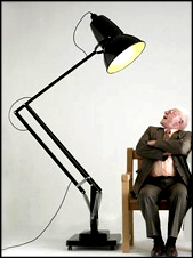 Jacobsen’s lamp; the Luxor L-1 is featured in the museum of Modern Art in New York. 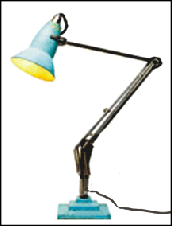 Versions continue to be produced - this large version is currently available and is based on Carwardine’s original lamp.